According to Pete Hines, Bethesda's Senior Vice President of Global Marketing and Communications, the decision has been taken because Sony doesn’t allow cross-platform play. Sony continues to ban cross-platform play and now its adamantine policy is hurting its PlayStation 4 customers even more. 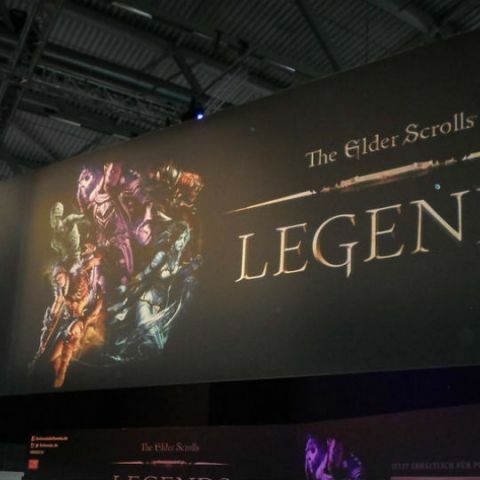 Pete Hines, Senior Vice President of Global Marketing and Communications of Bethesda Softworks, has said that the company may not release The Elder Scrolls: Legends game on Sony PS4. Although he didn’t take the name directly, he noted that the game "is a strategy card game and is both cross-platform play and cross-platform progress." Even on being directly asked that cross-play would only be on “certain systems,” the executive told Gameinformer, "It is our intention in order for the game to come out, it has to be those things on any system. We cannot have a game that works one way across everywhere else except for on this one thing. The way the game works right now on Apple, Google, Steam, and Bethesda.net, it doesn't matter where you buy your stuff, if you play it on another platform that stuff is there. It doesn't matter what platform you play on, you play against everyone else who is playing at that moment. There's no 'Oh, it's easier to control, or it has a better framerate on this system.' It's a strategy card game. It doesn't matter." Previously, Sony did not allow Fortnite Switch, one of the biggest games in the industry right now, offer cross-platform play. Epic Games, the developers of Fortnite Switch, had also confirmed that both cross-platform play and progression on the Switch work with everything except the PS4.